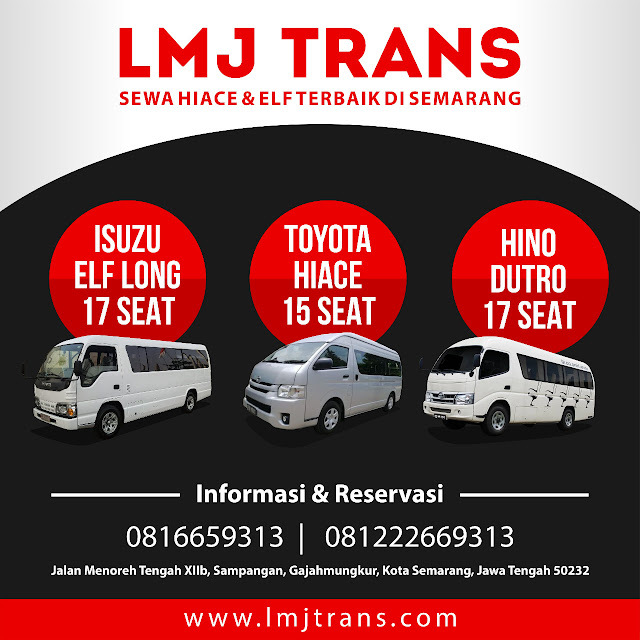 LMJ Trans Semarang - Rent a Toyota Hiace Car, All the Best Prices are Maintained Car. Are you looking for a confortable-premium car for holiday over many paleces in Java, we offer you to call LMJ Trans Semarang. We are one of the best Car rent in Semarang to accompany your unforgetable travel. With easy reservation over phone we wanna make sure your travel will be stuning.